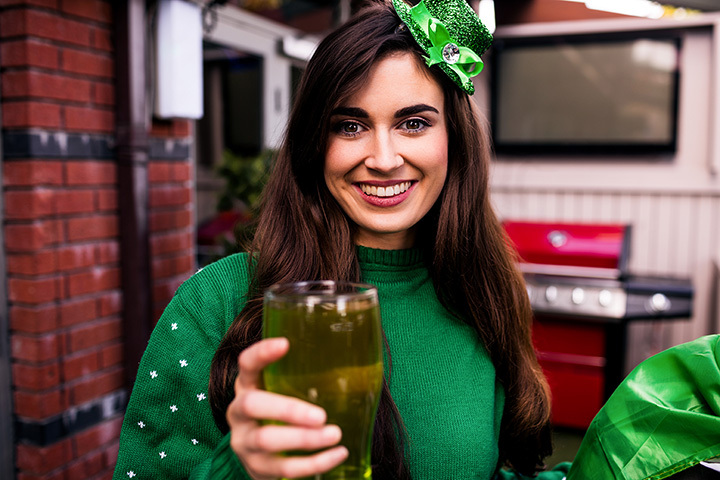 To celebrate St. Patrick’s Day right, people search for authentic Irish experiences. From pubs to parades, Rhode Island has the experience you’re looking for this March 17. Get ready to don those green clothes and have a couple beers at these 13 great places to celebrate St. Patrick’s Day. The Newport St. Patrick’s Day Parade is so big that it has its own festivities celebrating the halfway point until the next St. Patrick’s Day Parade! Enjoy the incredible floats, lively atmosphere, and of course—don’t forget to wear green! Located on Wayland Avenue in Providence, you’ll love this newer Irish Pub. Although it’s only been in Providence for a few years, it already feels like a local favorite, with its live music and trivia! The parade was only the start to the festivities! Head out to the Newport Craft Brewing & Distilling Co. as “Best of the Parade” awards are handed out to the year’s superlative participants. The Brazen Hen makes sure to pack their St. Patrick’s Day full of live music and fun! Stop on by to downtown Westerly to enjoy yourself a pint while enjoying some delectable selections from their menu. Stick to the city this St. Patrick's Day! Their annual St. Patrick's Day parade kicks off on March 9, and will feature more men clad in kilts than you could ever imagine. What better place to spend St. Patrick’s Day in than a pub that shares the holiday’s namesake? Enjoy and Guinness and step inside to play on the pool table or some darts. What’s more? They’re located right along the Providence Parade route. Looking for a good deal? Galway’s serves $5 Guinness, among several other beers on tap. The pub brands itself as a “little taste of Ireland in Pawtucket,” and you’ll be sure to understand why! For this Rhode Island Club, celebrating your Irish heritage isn’t something that just happens once a year! Oh no, the club/pub embraces that Irish spirit all year, but goes all out on their country’s special day with live dancing, corned beef sandwiches, and samples of soda bread. This Irish 5K is a Pawtucket tradition! Walkers are welcome—because the race organizers know that it can be hard to run with a stomach full of beer! Get ready to discover the secrets of ancient Sully O’Sullivan who died in a terrible brewery accident. A murder mystery dinner theatre, Bravo Brasserie puts on special dinner theatres during March for St. Paddy’s day. This isn’t your typical Irish experience! Looking to stay out of the pubs during St. Patrick’s Day but still want to indulge in some classic Irish fare? Keep it elegant this March with a fine meal at McCormick’s. Treat yourself to some steak or seafood—you can’t go wrong. This Irish pub boasts a full kitchen with authentic Irish cuisine. With its perfect location right along the marina, you might not feel like you’re in Ireland with these great views, but the cuisine might just be enough to transport you there! This spot isn’t just a pub—it’s a gastropub, which means that you can rest easy knowing you’re in good hands food and drink-wise. All food is freshly prepared, and the restaurant features a rotating variety of beers on tap. Hosting a big party, too? Their upstairs room can welcome up to 70 people.